Samurai Shodown - Embrace death and no one can stop you! Discussion in 'Gaming Discussions' started by The_Marquis, Mar 25, 2019. So very hyped for this come back after a rough last generation. SNK has always been the fighting game under dog, creating absolutely fantastic fighting games, and they've definitely had a rough decade and a half prior to this. So I'm happy to see they seem to be on the road to recovery. This is not to under sell King of Fighters 14, which was also fantastic - despite abandoning the gorgeous sprite work of past entries. 44 minutes of game play! The cast is an interesting mix of original series characters and characters from later in the franchise (Shiki). I'm hoping other favorites are in the works, or DLC. Unless I'm forgetting / overlooking something, this is probably my most anticipated game this year. It looks promising, and it was a surprise that it was announced for EVO even though it's not even out yet. Could be Chinese backed SNK payola to Mr. Wizard, but if the game is as great as the original 2D franchise was - the more eyeballs on it the better. TORGO-KUN! SIX SAMSHO COLLECTION ANNOUNCED!!! 16 character base roster. DLC characters added after the fact. Indeed. I like the series but I'm terrible at them. I think that I own 2 or 3 on the Neo Geo, including a US copy of 6 that still has the blood in it (before they recalled the carts and changed the blood color). I honestly don't know how good I was at the series. I was okay at Samsho1, and local arcades totally missed SamSho2 - which according to my other friends at the time, was the more popular entry. I was pretty strong with my boy Ukyo. I'm amazed at how well the three new characters integrate into the Samurai Shodown world, as it were. Unlike Street Fighter, and other franchises, which introduce new character which seem to be incongruous to the series. In all my years of loving fighting games, and a decade after SF4 re-ignited the passion of my rose tinted goggle normie chum generation, this here may be the first fighting game that I purchase the Limited Edition and Season Pass for. I straight up don't give a damn. Everything appears to be firing on all cylinders. The season pass includes Samurai Shodown 64 skins, which was a game I have fond memories of playing back in the arcade, and damn it - the presentation was cool as hell - with ukiyo-e style ink illustrations when you pulled off a super move. No excuse. This is pure rooting for the under dog, in addition to the under dog delivering an amazing looking product. I'm all in on this game. Maybe I'm just too desperate to be 18 years old again, and thumbing my nose at imbeciles claiming Time Killers looked better back in the local arcade. 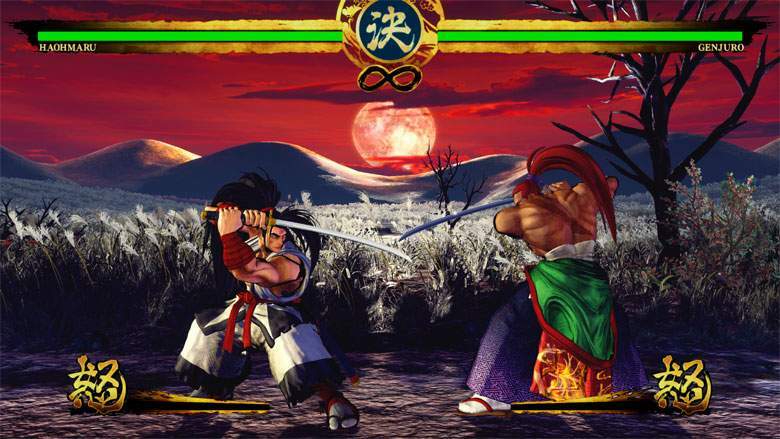 I'm trying to reconcile internally why I rallied so strongly against Street Fighter 4, but embrace Samurai Shodown 2019 - despite SamSho 2019 having many similarities to SF4 visually, and I suspect it's thus - for the better part of a decade, Capcom artists were creating artworks that were inconsistent with the path of Street Fighter visual development. Similarly, SNK produced artwork so far divorced from Samurai Shodown, that I realistically cannot expect SNK to deliver a game that emulates the Ukiyo-e art style of the SamSho production art. However, the game itself, looks consistent with the proportions and sprites of the old games. 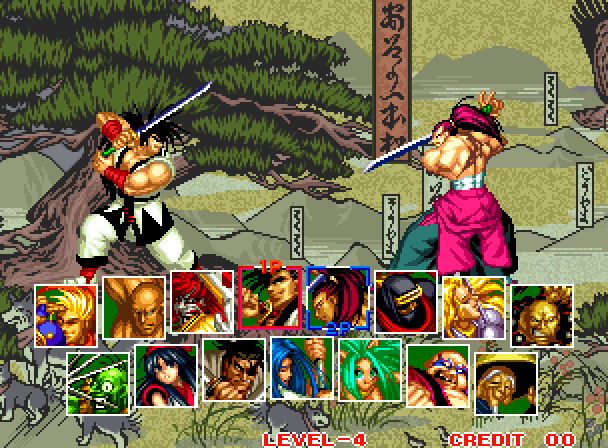 So, while Street Fighter 2, to Street Fighter Alpha series, to Street Fighter 3 all demonstrated a visual style that wasn't represented in SF4; Samurai Shodown 2019 carries that visual style of Samurai Shodown 1993. I really hope this game is amazing. I haven't been this excited since the Guilty Gear Xrd trailer blew my damned mind! It looks great, but to me, the character style looks a bit too much like Street Fighter 4 & 5, but that's a minor quibble. I agree, it causes me no small amount of discomfort accepting this. Then you jump to this low effort visual style on the modern series entries. I get that SF4 banked heavily on SF2 nostalgia, so they didn't push to come up with a unique visual style, and most normies skipped the Street Fighter EX series - so the gimmick of Street Fighter using polygons was "new" to them. And why I maintain, Street Fighter 4 was the inadvertent continuation of the polygon based Street Fighter EX series - not the main franchise. Instead, SNK seems to have focused on attempting to replicate the visual style of the earlier games with their new 3D entry. 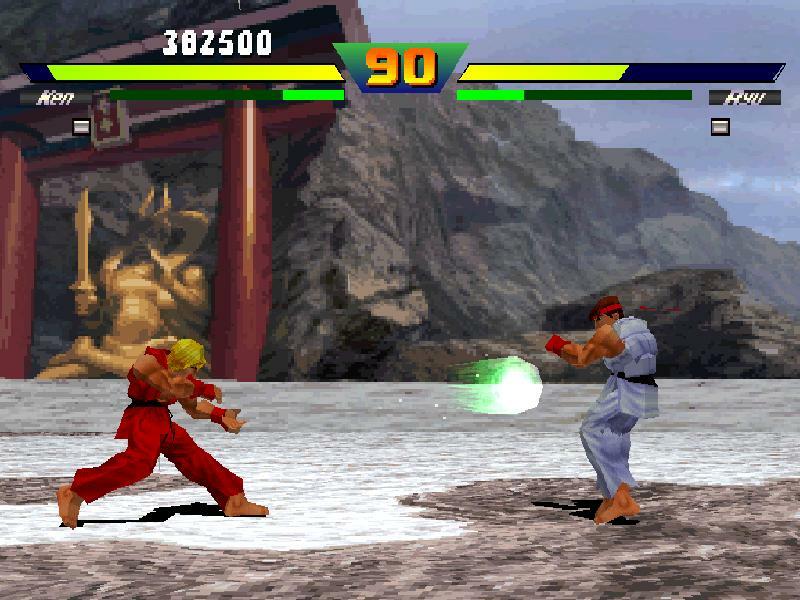 I played and enjoyed Samurai Shodown 64 in the arcade, Samurai Shodown Sen was a mistake on par with modern Street Fighter games.